Trust award-winning cruise line Royal Caribbean International to deliver spectacular onboard experiences and unforgettable island jaunts. Just like the open waters Royal Caribbean sails upon, its itineraries and the memories they create, are endless. Explore seductive seascapes and get exclusive savings and $50 onboard credit on select cruises with Royal Caribbean. 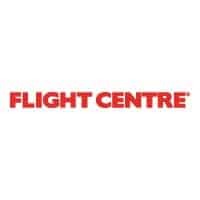 Visit Flight Centre in-store to explore cruises today. It’s all the Italy you can handle on one amazing airfare. Let our Expert Travellers help fill in the blanks with hotels, a tour or a car rental and you’re all set. Visit Flight Centre in-store and ask about our Fare of the Month. Bon Voyage! Been there, done that? Not a chance. Fall in love with Europe all over again with our selection of trailblazing tours, covering every corner from Antwerp to Zagreb. Find trailblazing tours and save up to 20% on select guided tours. Conditions apply. Visit Flight Centre in-store for more details. Designed for optimal fun and relaxation while giving you the best value on the market, our convenient grab n’ go holidays create memories to last a lifetime. Receive up to $2,500 in resort coupons no select holidays. Conditions apply. Visit Flight Centre in-store for more details. Flight Centre’s tailor-made European vacation packages keep you top-of-mind with the utmost flexibility, inclusions and value. Visit Flight Centre in-store for more details. You won’t find holiday packages like these anywhere else under the sun. Exclusive and expertly-curated, Better Beach translates to better travel, better service, better inclusions, better peace of mind and a better world. Escape to something better with our Better Beach Holidays. Visit Flight Centre in-store for more details.